Teal is one of my favorite colors. That yellow footprint in front of the door. 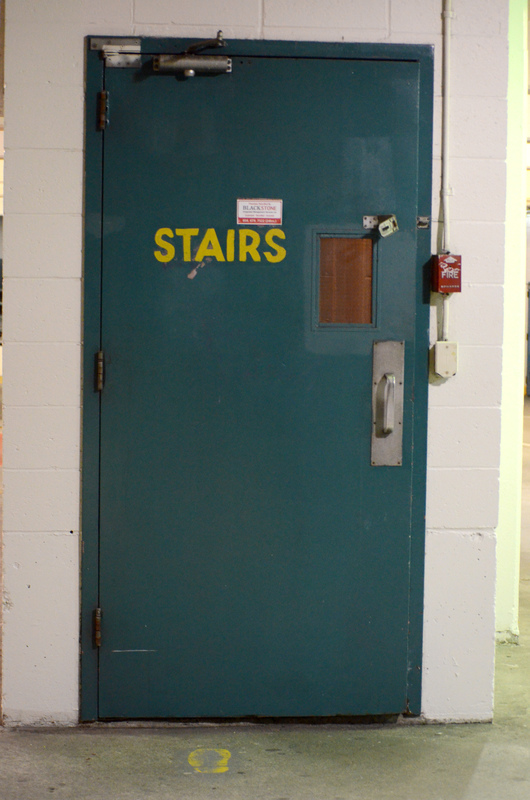 I can’t tell whether it was intentionally painted on or if whoever was in charge of labeling “STAIRS” had a minor misstep. Ha! I’m betting it was option number two. Great photo, it made me smile.